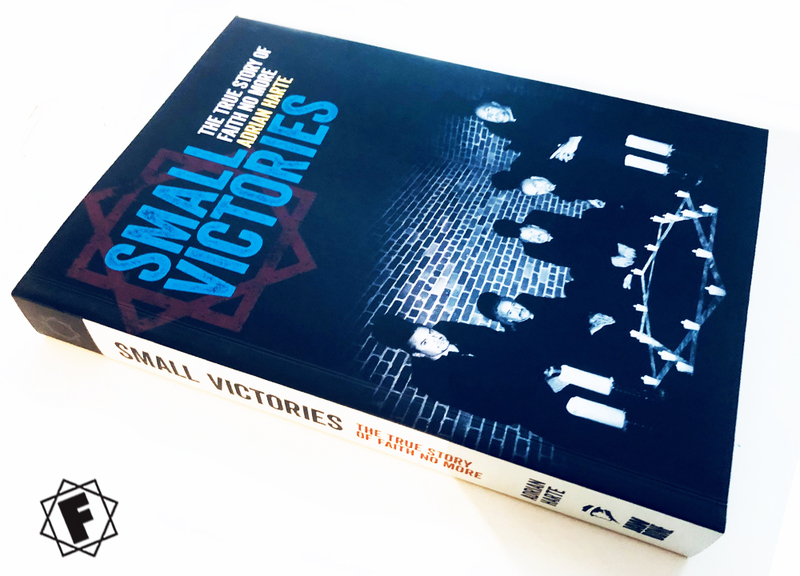 'SMALL VICTORIES : The True Story Of Faith No More' the book fans have been waiting for! If you walk into your local branch of Waterstones (other bookstores are available) and locate the music bio section you will find countless titles featuring Guns N' Roses, Metallica, Nirvana and even a couple on Soundgarden but you will not find any about that 'other' band, FNM. The band who at some point all the a-fore mentioned groups have praised. The band who were pivotal in changing the sound and image of rock, metal (or whatever) music forever. Sure, books have been written. In 1994 the fantastic Technicolour The Real Story by Steffan Chirazi, unfortunately out of print. In 2013 the great chronology The Faith No More and Mr. Bungle Companion by Greg Prato which never found it's way onto shelves outside the US. It is therefore an important blessing that we will finally see a FNM publication rightfully occupying a space amongst its contemporaries. Small Victories: The true story of Faith No More by Adrian Harte. Let me say that your guarantee of quality lies in the authors name, Adrian Harte. Adrian has been writing about FNM for many years via his FNM approved blog FaithNoMore 2.0 (we feel honoured to occupy the same space on FNM's official website), providing everything from reviews to intelligently written nostalgic articles. He is a kindred spirit to long term fans who has grown up with FNM music as the soundtrack to his life. As mentioned above before The True Story came The Real Story, I am a huge fan of author Steffan Chirazi who, as a close friend of Jim Martin, was on the scene throughout FNM's career. His gig reviews and interviews for Kerrang!, RIP, BAM and many more were pretty much the only true admittance into the band's deranged world up until 1994 and the publication of his biography. TRS illuminated the band's turbulent history and the characters of individual members. So what does The True Story have that its predecessors lack? Well for a start this book examines the full history of FNM up until recent events. Yes there are parts that are reiterated however Adrian's text adds intricacies that were until now unexplained, as Bill Gould says 'he did his research'. In fact he interviewed over 40 people to get those finer details. Adrian travelled 6000 miles from his home to San Francisco to get those finer details, sitting for hours with band members and their friends. Adrian has unearthed little known facts and debunked common myths to provide the most accurate telling of FNM's story that will probably ever be written. It takes suffering to make great art and FNM have certainly had their fair share of ups and downs, this publication gets to root of all the infamous stories. If you ever wanted to know how many fist fights occurred with Chuck Mosley and other members? The the stories are all here. If you ever wondered about meaning behind the lyrics on The Real Thing? It's all here. Want to know how the band wrote their smash hit Epic? It's here. Want to know how a homeless guy saved the recording of Angel Dust? Read it in this book. Which well known musicians have auditioned to play guitar with FNM? Here. Ever wondered how FNM got along with tour mates Limp Bizkit? Or How on Earth they end up wearing those lurid pastel suits? Let me tell you it's ALL here. This book will bring back all your favourite FNM memories whether you read them, watched them, heard them or lived them. Highlighting all the details you may have missed and adding facts you never knew. There are also pages of as yet unseen full colour photographs from all periods of their history. I read the book over four consecutive nights anticipating the next instalment at the end of each sitting, then re-read it. Adrian's writing is engaging and his love of the band is obvious. I'm sure even Patton will be keeping a copy of this book in his downstairs loo to remind himself of his own accomplishments when he is older! If you are a self confessed FNM geek, like myself, who has read every article, watched every interview and you think there was no more to learn....you are wrong. This book comes the closest anyone probably ever will to understanding one of the most confounding bands ever. And aside from all that it's a bloody good read. Congratulations Adrian. Pre-order your copy from all major bookstores. This comment has also been removed by a blog administrator. I´ve been looking forward to reading this book for months and it´s just brilliant. Now I love those FNM-guys even more. 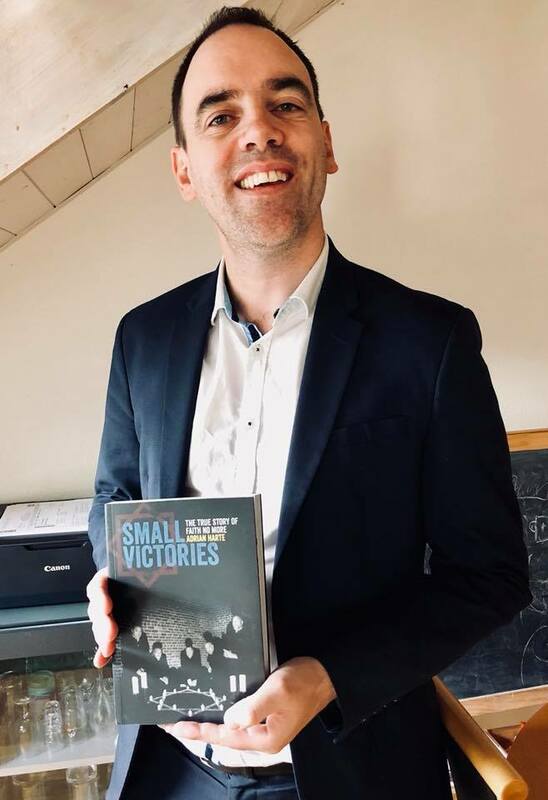 Thanks to Adrian Harte for all the effort he put into writing Small Victories and thanks to every single member of this unique band for being awesome and inspiring. Don't take stress in your life. browse around this site.